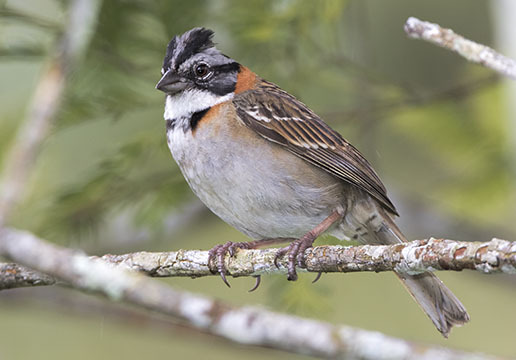 The rufous-collared sparrow is found from Central America (where I have seen it in Panama and Costa Rica) all the way to Tierra del Fuego. These were in Parque Nacional Torres del Paine in south Chile, Cali, Colombia, and near Cusco, Peru. The bird immediately below a left is a juvenile; the others are adults.